Embracing the D-Word – Random. Structured. Haphazard. All Me. One of our first pets is dead. 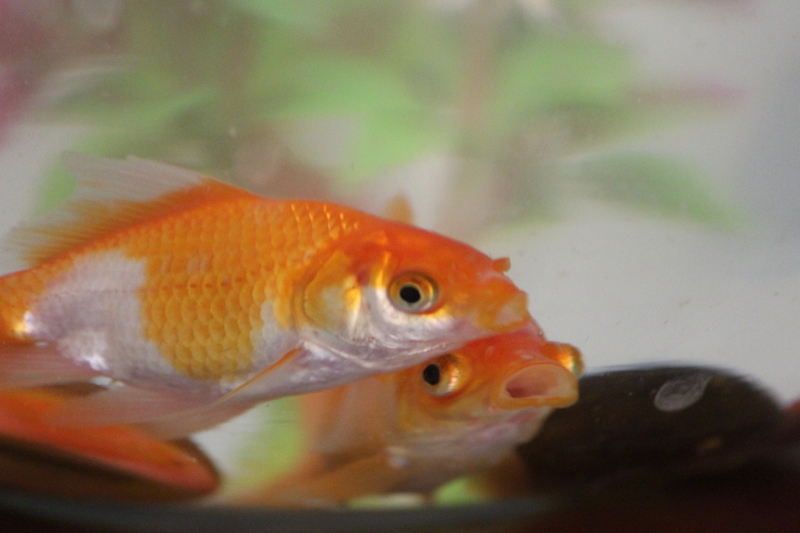 We bought MLM his first goldfish pair exactly two weeks ago. He wasn’t excessively fond of them; am glad about that since I had visions of his using the net or even his hands to want to talk to them or caress them. 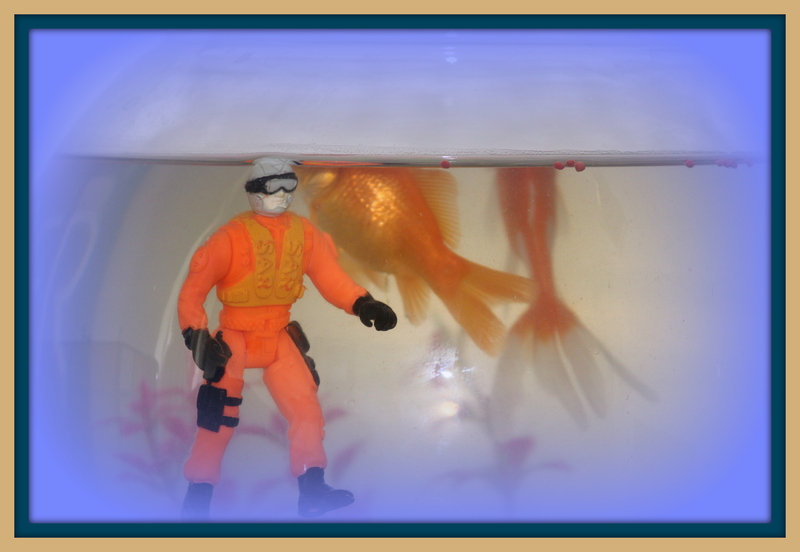 In fact even when he wanted his toys to become a part of the goldfish bowl world he told me about it first and I washed the toys carefully and introduced them to their new watery home. I woke up this morning and went to check on them like I do every day and one of them seemed very sluggish to my sleepy eyes. But he/she wasn’t belly up yet. I thought maybe a change of water would inject some freshness in their lives; literally. But the fish died even before I could transfer it into cleaner waters and eventually hitched a ride on the porcelain express. But a larger questions looms up now. What do I tell the kid? He will eventually notice after his attention shifts from the Dragons of Berk and the Ultimate Spiderman that either Nemo or Memo (yes, he named them that) is not there anymore. The last two times when Death came up in everyday conversation I’d waited for him to take the lead and give me some insight into what he’d understood by it. And I just followed suit. When Littlefoot’s mother died after her fight with the T-Rex, MLM said she was tired and was sleeping and he thought the earthquake that happened separated them for good. Not being able to understand the actual scenario. The rest of the movie kept him so engrossed he didn’t ask about her ever again. Problem solved. When my husband’s grandmother passed away he sensed something out of the ordinary was up. He was just 4 and 1/2 years old at the time and was eerily still at seeing her dead body when they brought her home and also when we went to pay our last respects. He got a bit agitated when the funeral van took her away for the cremation because unknown people were taking away someone he knew and he didn’t know where they were taking her. But in the months after whenever we’ve visited the house she lived in, he’s always gone into her room but accepted that she’s not going to be there because he doesn’t ask about her anymore. He’ll be 5 soon. As far as I know he’s still too young to comprehend the concept. Hell, I don’t get it beyond the actual technical parts of it viz heart stopping et al. But of late all his questions have been heavily laced with the ‘whys’ and am not sure what I should tell him once he notices the fish isn’t there? 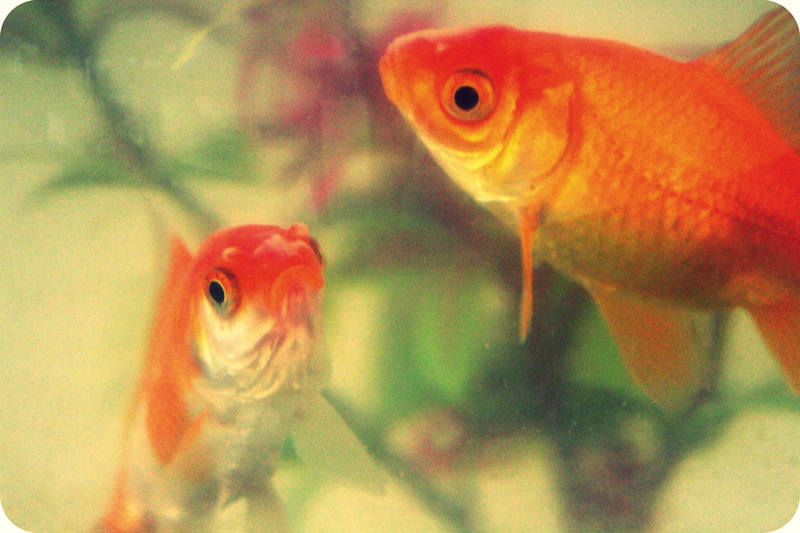 Am stuck between saying it’s sick (which is true or rather was true) and it’s gone to the doctor and replacing it with a new goldfish or just telling him that it’s gone away without being morbid. Whatever comes to my mind whenever the question comes up, here’s a look at Nemo and Memo in happier and alive days. With their temporary roommate- the diver man. The daily dose of fishbowl gossip.